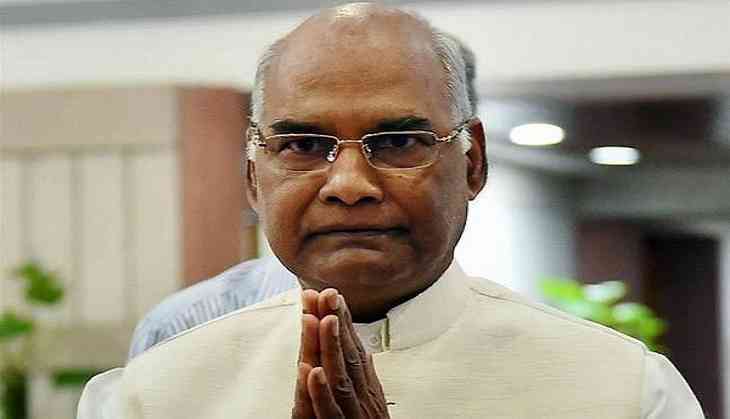 President Ram Nath Kovind has given assent to promulgation of the Fugitive Economic Offenders Ordinance, 2018, giving authorities powers to attach and confiscate the proceeds of crime and properties of economic offenders like bank fraudsters or loan defaulters fleeing the country. The ?Fugitive Economic Offenders Ordinance, 2018 is aimed at deterring economic offenders from evading the process of law by remaining outside the jurisdiction of Indian courts, an official statement said. "The need for the Ordinance has arisen as there have been instances of economic offenders fleeing the jurisdiction of Indian courts, anticipating the commencement, or during the pendency, of criminal proceedings," it said without naming anyone. Giving reasons for the law, the statement said the absence of such offenders from Indian courts hampers investigation and wastes court time and undermines the rule of law. "The existing civil and criminal provisions in law are not entirely adequate to deal with the severity of the problem," it said. Finance Minister Arun Jaitley had in his Budget for 2018-19 had said the government was considering to bring a new law to confiscate the assets of such absconders. The Fugitive Economic Offenders Bill, 2018 was introduced in the Lok Sabha on March 12 but couldn't be taken up due to logjam in Parliament over different issues. With Parliament being adjourned sine die, an ordinance was proposed. The Union Cabinet yesterday approved the ordinance and the President today gave his assent to promulgation of the same. "A Fugitive Economic Offender is a person against whom an arrest warrant has been issued in respect of a scheduled offence and who has left India so as to avoid criminal prosecution, or being abroad, refuses to return to India to face criminal prosecution," the statement said. However, only cases of frauds, cheque dishonour or loan default of over Rs 200 crore would come under this Ordinance. The Fugitive Economic Offenders Ordinance, 2018 provides for an application being made before the Special Court for a declaration that an individual as a fugitive economic offender, attaching his or her properties and proceeds of crime and selling of such properties. "If at any point of time in the course of the proceeding prior to the declaration, however, the alleged fugitive economic offender returns to India and submits to the appropriate jurisdictional Court, proceedings under the proposed Act would cease by law," it said. The law provides for all necessary constitutional safeguards in terms of providing hearing to the person through counsel, allowing him time to file a reply, serving notice of summons to him, whether in India or abroad and appeal to the High Court. "It is expected that a special forum to be created for expeditious confiscation of the proceeds of crime, in India or abroad, would coerce the fugitive to return to India to submit to the jurisdiction of courts in India to face the law in respect of scheduled offences," the statement said. The government said the new law will help the banks and other financial institutions to achieve higher recovery from financial defaults committed by fugitive economic offenders, improving the financial health of such institutions.